Arriving during spring migration and hanging out all summer long in parts of Pisgah National Forest is the Acadian Flycatcher, our June 2016 pick in our 12 Months of Birding at the Inn blog series. If you book one of our rooms in the Deck House, you may see one of these enchanting little birds making the acrobatic feat of catching insects while flying look easy. 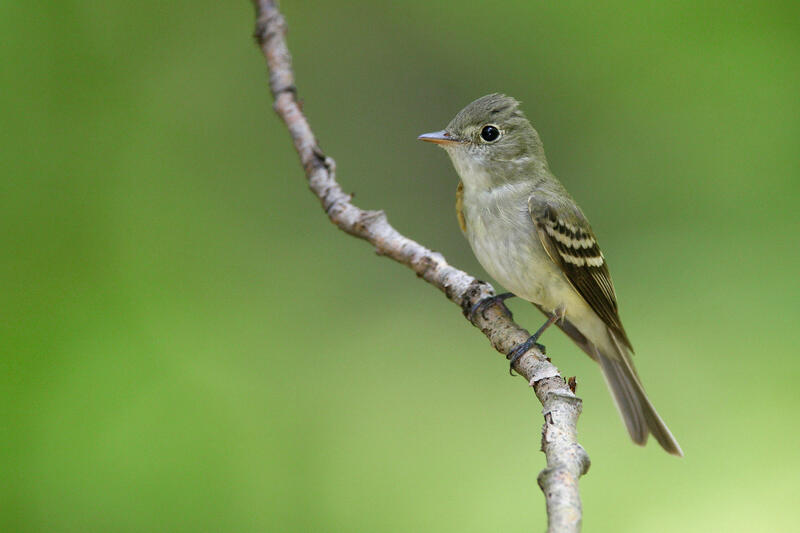 Even though the Acadian Flycatcher is a small bird, it has big voice, so listen for its “peeeet” call and its song, which sounds like “peet-seet”. Along with Eastern Phoebes and Eastern Wood-Pewees, the Acadian Flycatcher likes to perch on branches over the pond at Inn on Mill Creek and then launch out to catch insects in mid-air. 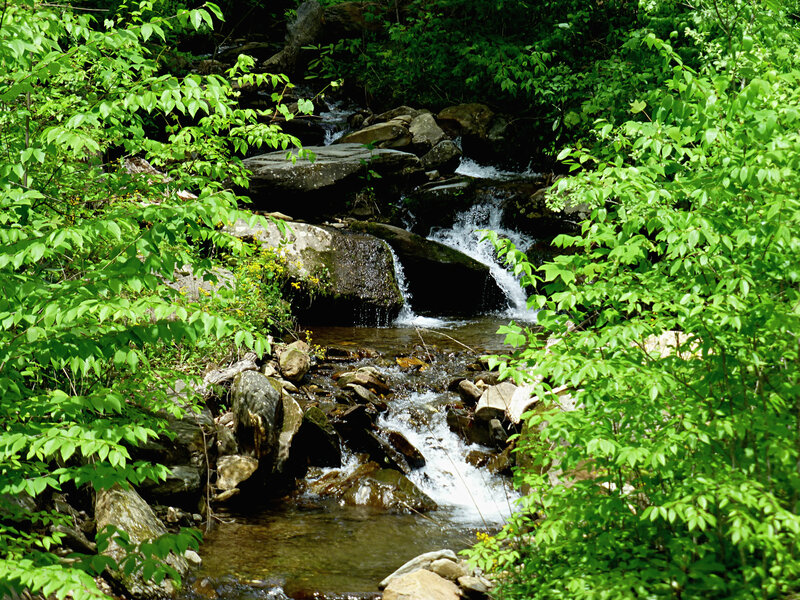 It will also pick up ants, caterpillars and other earth-bound insects from leaves while foraging in the trees.